Bulging veins in the legs look unsightly. Moreover, usually this phenomenon is accompanied by swelling and soreness. However, varicose veins are treatable and this defect can be eliminated. If not treated varicose veins, in addition to spider veins and bulging veins due to poor blood supply to legs soon formed trophic ulcers. From them is not so easy to get rid of, for this reason, you should make every effort to prevent their occurrence. Often protruding veins man begins to treat with decoctions of herbs, but it does not give results, on the contrary, precious time is lost and the disease becomes more severe stage. To remove bulging veins in the legs will help compression. It should be worn regularly and for quite a long time. This treatment will help if the varicose veins affected superficial veins. This method will be useless when the disease has spread to the deeper veins. Here we will need more drastic measures. 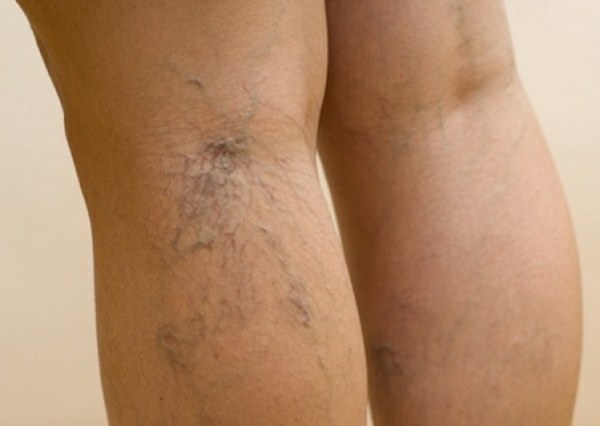 To get rid of bulging veins should pay attention to innovative techniques that help to cope with varicose veins at a later time. It is best to consult a doctor-flebolog that podberet the most effective method. So, for example, shows good results radiofrequency ablation, laser vein removal and combination flebectomia. It is important to know that the first two methods are painless. They give a fairly rapid positive effect. Due to the fact that they are performed without incisions, such methods are more popular among women because after the operation there remains no cosmetic defects. However, flebectomia not less popular because Vienna, the affected has to be removed mechanically through a small incision. Sometimes for medical reasons the above methods are available, however, from bulging leg veins need to get rid of as soon as possible to in the future will not have serious consequences. In this case, you can use a new technique that is called sclerotherapy. In the process it in the vein, the doctor inserts a special glue sclerosant that fills the vessel. In the result it stops the flow of blood and glued to the vein wall. After this operation the stocking is worn with the optimum level of compression. After some time, the vessel is replaced by connective tissue. This method of removing bulging veins is a highly effective technique that allows the legs to return to health and their lightness.